April 18, 2018 Kevin & I made a run out of Rudee today on the Classic Rockfish to try and break in the new lower unit. I’m sure you can just imagine how great it felt to get out and finally wet a line, since our last fishing trip was Jan 27th 2018 due to circumstances beyond our control. We saw a window for today and we went for it. We only had 2 dozen crabs, but it was a nice blend of blue & green crab. We drove around for a while and then headed to an offshore honey hole. 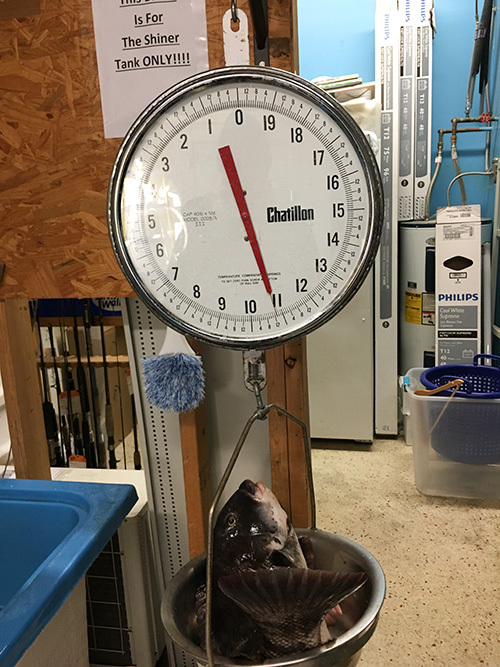 We then proceeded to boat our two man limit of nice sized tautog up to 25"/10lbs., 8oz. A short but very sweet trip and I’m so glad we went!